The end of the Cold War heralded the start of a new global conflict, a fight of ideologies as well as military might. Fittingly for a war of ideas, libraries with their stores of knowledge and mission of disseminating information were often seen as useful tools by both sides in the early years of the Cold War. The late 1940s and 1950s held several challenges for librarians and their libraries in the United States and abroad. 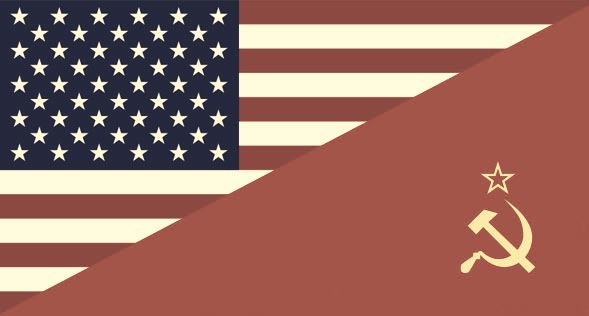 Relations between the United States and Soviet Union were extremely chilly, which led to a polarization of the entire world as nations aligned themselves with one side or another according to their ideology: capitalist or communist. Under Stalin, the Soviets sought to exert their influence over overseas libraries by exporting their brand of librarianship via conferences, seminars and the subsidization of professional library education for foreign students at Soviet institutions (Richards 2001, 196). In contrast, the U.S. Department of State under Truman attempted to spread its messages through its own overseas libraries, which were intended to paint the United States in a good light (Porter 1952). Censorship was also a prevalent theme in both Soviet and American libraries of this time. As before WWII, the U.S.S.R. already had complete control of Soviet libraries and had no problems censoring “bourgeois” and pro-American publications. In the United States, this sort of censorship was not an option, though Congress did try to stem the flow of Soviet materials through a series of customs legislation (Richards 2001, 198). The only libraries over which the U.S. government had complete control were those overseas cultural institutions under the United States Information Services, and these were subjected to inspections by Senator Joseph McCarthy and his cronies. The overseas libraries were forced to remove those books considered to promote communist and “un-American” ideas. Some librarians during the McCarthyism of the 1950s, bowing to political pressure, began to self-censor “dangerous” materials (Richards 2001, 198-9). At the same time, the American Library Association (ALA), along with the American Book Publishers Council, responded to the threat of censorship with the Freedom to Read statement, demonstrating the lack of control of the American government over domestic libraries and a key difference between Soviet and U.S. librarianship (Robbins 2001, 30).